Cancers can be readily cured by treating their root causes. Thousands of various cancers have had spontaneous remissions, which are cures using natural remedies and proper diets to restore health, as a healthy body has no disorders. Drug therapy does not restore health, thus, cannot cure cancer. Surgery removes the cancer, which is merely the symptom, but ignored the underlying cause, which can cause the cancer to recur. Otto Warburg, a Nobel Laureate in medicine, found that when tissue O2 is low, normal cells are forced to use Glucose instead of O2 for energy and become cancer cells. Hence, most important in healing cancers is to improve blood circulation and O2 saturation, while the patient must stop eating sugar and refined carbohydrates. I am an anesthesiologist who treats disorders using anesthetic injections to enhance acupuncture, a therapy I call Neuro-BioEnergetics, or NBE, which is based on traditional Chinese medicine (TCM). We do not use drugs, as they are harmful toxins, especially chemotherapy, which are the most toxic poisons that often kill the patient before the cancer does. The root culprits are improper diet, stress, toxins and other deleterious factors, which cause acidic pH and damp – a term in TCM for sticky mucus, phlegms, cholesterol, triglycerides, etc. NBE therapy is the most effective way to improve circulation and O2, while acidic pH and damp can be corrected with herb, supplements and diets. This method cures disorders using the principle of TCM. TCM is based on the soul’s healing power, as explained in healing-the-body-with-the-soul/. Orthodox medicine lacks the knowledge of the soul, hence cannot cure any disorders. The Chinese discovered that our existence is both material (body) and immaterial (mind/soul/spirit) energies. Matter is material energy that we can see and touch, and according to the Second Law of Thermodynamics becomes disorder with time. In other words, matter cannot sustain order, or health. In contrast, the soul’s energy, qi, is an unseen magnetic vibration in space, which remains in order and never decays. In other words, qi has the ability to sustain order or health – it is life itself. Qi fuels all living functions. At physical death (the ultimate disorder), all functions are lost due to separation of the body from the soul, the source of qi, without any loss of materials, such as DNA, stem cells or molecules. So the cause of all disorders is energy rather than material. Each organ has its own qi, which deals with a particular emotion. For example, heart qi enables the body to feel love and joy. For more details, visit Health and Spirit on my Blog at www.drtong.com. Qi occupies an infinite space, permeating all matter. Different kinds of qi enter the body through various channels, or meridians. Qi makes the body warm and dilates capillaries to open micro circulation. It then flows with blood to different tissues and commands blood cells to heal disorders to keep health. Similarly, our soul travels with the body via the traffic to various areas and commands the body to do different physical repairs: doctors repair medical disorders; plumbers fix plumbing problems, etc. Deleterious factors such as stress and bad diet cause blockages in the meridians, depriving tissues of healing qi and resulting in disorders. Clearing the blockages restore qi/blood flow and cures the disorders. Since meridians are mind/body interface, these blockages are mind/body blockages, or MBB. Note that western diagnoses are merely labels of symptoms, which do not help in ascertaining the MBB to cure the disorders. In other words, it is irrelevant to know what type of tumor, while the location of the tumor and other symptoms provide the clues to determine the MBB that are needed to cure it. Twenty five years ago, a qigong mishaps drained my qi and I develop numerous ailments. After seeking help around the world to no avail, I heal myself slowly with NBE treatments. Decades of self therapies enables me to find MBB for various ailments and obtain result usually with the first treatment. Finally, serious ailments are associated with severely spastic MBB, which acupuncture and herbs cannot effectively clear, whereas injecting a little anesthetics can relax the spasm totally to allow ample qi/blood flow, resulting in instant results, as shown in the cases below. After regaining health, patients must adhere to a proper diet and lifestyle. We also prescribe herbs, supplements, meditation and similar remedies. I have found that the best home remedy in preventing cancers, strokes, heart disease and other serious disorders is Pulsed Electromagnetic Field therapy, PEMF. The photos on the left show how PEMF improves blood flow and O2. They are from the blood exam of Dr.Maynard, who has had four heart attacks (MI’s) despite vigorous regular exercise. The top photo shows involuted red blood cells (RBC) glued together (Rouleau condition) by sticky substances such as Cholesterol and mucous. These are in reality micro blood clots, which can develop into bigger clots and cause strokes, MI’s, and serious disorders. Moreover, these clots make the blood viscous and thick, which reduces flow rate and O2 saturation. Consequently, tissues do not get enough O2, which provides an environment conducive to cancers development! The bottom of second photo shows the magnetic effects of PEMF, which forces the RBC’s apart and thins out the blood, thus improving the speed of blood flow. Furthermore, the separated RBC’s can now be saturated with O2 and adequately oxygenate the tissues to treat or prevent cancers. Everyone should strive to have healthy blood like this photo. I have used qigong to checked out different models of PEMF device, and found that the Swiss-made Omnium is the most effective in enhancing qi to promote circulation. G1) Hepatitis C, malignant nodule in liver, liver transplant candidate – Edward was a 46 y/o man with terminal Hepatitis C on the liver transplant list. He suffered from severe fatigue, leg edema, ascites, headaches as well as abdominal pain from gallstones that could not be operated due to low platelets. He was given many drugs, but none helped him. He was in ICU many times and nearly died from encephalitis five times. He had a MRI at UCLA that showed a malignant nodule in the liver. The first NBE treatment relieved most of his pains. His energy improved. Two days later, he went for a follow-up MRI at UCLA and were astounded that the liver nodule was gone! Checking against the initial MRI clearly showed the presence of the nodule. His ascite and leg edema virtually vanished with three treatments. After four treatments he began to lift weights. His Hepatitis titers dropped from 362,000 to 118,000. Unfortunately, after nine treatments, he was forced to stop due to insurance problem. G2) RS (5-22-04) Breast Cancer, unable to tolerate Chemotherapy, Bone Pain, Low Back Pain, Leukopenia, Constipation, Dry Mouth – Kay was a 41 year-old female with a 6” Breast Cancer. She was treated with chemotherapy, but had to stop due to intolerable side effects of upset stomach, nausea, constipation, fatigue, hair loss, widespread bone pain and severe dry mouth. Also, each chemotherapy dropped her white blood cell (WBC) count drastically. She was given an injection to stimulate her bone marrow to create WBC. The injection was expensive, painful and caused her WBC to instead drop further, one time to 500. After one NBE treatment, she no longer had constipation, her pain, nausea and energy were much better and her WBC rose back to 5,000 and stabilized at 5300 with further treatments. I added H2O2 IM into the tumor, which reduced it from 6 cm to 4 cm as documented on mammogram. It became fragmented, softer and less dense. She was eventually cured. They interviewed her on TV, crediting her cure to the chemo, despite that she had to stop chemo of their toxic effects. She repeatedly told the producer about us, but our name was never mentioned. G3) RS (5-11-13) Metastatic Melanoma, pain, anger – Wilhelm, from Canada, went to UCLA for treatment of Melanoma with widespread lung and skin lesions. MRI showed a liver nodule that had tripled in size in 2 months, even when he was taking an experimental drug since 10/15/12! He suffered extreme pain and anger. His wife, a former patient, came to us for severe back pain due to the stress and got instant relief. Seeing her result, Wilhelm tried our treatment. Within 3 -4 NBE treatments, his skin lesions nearly cleared up and his pain and anger were greatly reduced. But he would not try our herbs and diet. A repeated CAT SCAN in January showed little change. But our therapies had changed his attitude and he began to get more therapies and take our herbs. By April, the SCAN showed that the large lung and liver lesions were reducing by 20% and many small ones had disappeared. Unfortunately, he fell later in Canada and died in the hospital. G4) Metastatic breast CA – Linda was diagnosed with breast CA metastasized to the lung. It grew in size in a year. She decided to take both the western hormonal therapies as well as our NBE therapy. Each HT caused severe emotional and physical pains. But Dr. Elain, DO, eliminated her symptoms each time with the NBE method and she would be happy after each NBE treatment. Her improvement was so remarkable that her other physicians were amazed and kept asking her what other treatments was she also getting. Eventually the lump disappeared. She has been well since 2009 on no treatment or herbs, just on proper diet and exercise. G5) RS (8-28-10) Bowel CA, Asthma, multiple pains, excessive mucous – Joe, a 69 y/o, was on multiple medications and inhalers for asthma for most of his life, yet he continued to deteriorate. But after one NBE treatment, his respiration dramatically improved and he was able to discontinue all drugs and inhalers after a seven treatments. He was well on no meds for five years until he was diagnosed with bowel CA and received extensive chemotherapies that cost over $3 million. Yet he ended up so sick that he could hardly breathe or talk due to profuse mucus. After one NBE treatment, there was a remarkable improvement in all his symptoms (see video showing the dramatic changes before and after our treatment). He has had nine treatments and has not required more therapies for four years. He died later from another cancer, which he received only orthodox treatments. G6) RS (10-8-05) Throat and Esophageal Cancer, Headaches, Insomnia, Neck pain and Swelling, Bedridden – Buspar’s husband has been suffering from throat CA diagnosed in 2003. He was treated at UCLA medical center and went through chemotherapy, radiation, and surgical laser therapy. However, the cancer was not eradicated and was told that he had no hope. His neck was swollen and painful with hard nodules. He could not swallow and receives feeding through a NG-tube. He also suffered from severe headaches and could not walk even 10 feet. After 4 NBE therapies, his neck has become supple and soft. The swelling has dissipated and he can actually move his neck and eat without pain. He needed no medication for sleep or pain, and his headaches are much improved. He did not come for further treatments. G7) RS (3-10-01) Prostate Cancer, Chronic Neck Pain, Asthma, Phlegm, COPD, CTS, Dizziness, Kidney Removed – Jerry was diagnosed with prostate cancer in Dec 1999 with PSA of 19. He underwent Lupron shots every six months, but had to discontinue therapy due to intolerable side effects. He was getting up every 30 minutes to urinate at nights. After 3 months of NBE treatments, his cancer remained dormant and his PSA was down to 1 with only a few medication. His nocturia was reduced to 2-3 times a night. His stamina has much improved and no longer experiences pain or dizziness. G8) RS (2-3-01) Non-Hodgkin’s lymphoma, internal bleeding, arm tumor, severe multiple body pains and swollen leg from chemotherapy – Dennis was admitted to the City of Hope for stomach problem, internal bleeding, diverticulitis, and a tumor under his arm diagnosed as non-Hodgkin’s lymphoma. He was treated with eight chemotherapy sessions, total body irradiation, bone marrow transplant, and surgical removal of his lymph nodes. He developed severe pain in numerous areas and is unable to sleep. Moreover, he could not eat or drink because his throat and intestine lining were burned by the radiation. The lymph drainage at the left groin was ruined by the radiation and his leg had swollen twice the size of the left. As a result, he could not bend his leg or walk. The first NBE treatment dramatically relieved all his pain such that the tension and swelling of his face were visibly reduced. There was so much draining of fluid from the NBE injection sites that he could bend and move his leg during the treatment as well as walk afterwards. He slept deeply that night without any medication. Further NBE therapies enabled him to eat and drink. Unfortunately, he died within a week of his first treatment, but he had suffered no major pain during this time. G9) Lung Cancer – Eve, a 68-year old female, diagnosed with inoperable lung cancer. She received chemotherapy and radiation, which made her develop neuropathy of the feet so severe that she could not walk. She had nausea, no energy, no appetite, insomnia, a low-grade fever, and continued to lose weight. She was so weak that she had to be carried into my office. Within 5 treatments, she was symptom free and gained weight. She discontinued all medications and only received NBE treatments. She lived normally, as we had received yearly greeting cards from her for 6 years, stating that she was symptom free. G10) RS (9-9-00) Cervical Dysplasia, Breast Tumor, back, neck and shoulder pain, Hormone Imbalance, Sugar Cravings – Nancy, a 59 y/o white female, suffered for 30 years from neck, upper back pain and weakness in her right arm, which had increased to the point that she could no longer write. She refused surgery. Cortisone injections only gave minor temporary relief. Nancy also suffered from hot flashes and PMS, which did not respond to hormone therapy. She had a breast tumor, and two Pap Smears a year apart that were positive for cervical dysplasia. She craved for sweets and drank a pack of Pepsi a day. No treatments had helped. Her first NBE treatment provided dramatic relief. Further therapies cured all her pain, diminished her sweet cravings and she no longer drinks Pepsi. She was able to write again. Six months of NBE treatments reduced her breast tumor to non-detectable, cured her PMS symptoms and cervical dysplasia. She had been pain free for many years. Discussion. Oxygen is the key to treating cancers. Hydrogen peroxide H2O2 secreted by mitochondria and immune cells is used to carry out the physical healing under the command of qi. H2O2 is converted by enzyme Catalase to H2O and O2, which transforms cancer cells back to normal cells. Thus, cancers of the skin or those in accessible body cavities can be effectively treated with H2O2 or Ozonated water, both of which release O2. For example, proper amount of H2O2 added to a colonic solution would be effective in treating colon cancers. Hyperbaric chamber and Ozone therapies also provide O2, but are not very effective in treating tissue cancers. Because cancers are caused by the lack of qi due to MBB, which result in the collapse of capillaries blood flow. Without capillaries blood flow, there would not be RBC’s to pick up the O2 to be delivered to the cancer. 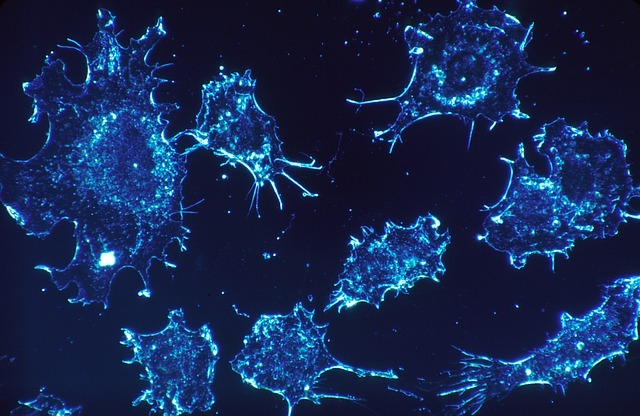 Finally, misinformation abound cancer therapies. A chemist I know believes that cancers are caused by immune deficiency, which is false. If O2 are plentiful in tissues, normal cells would not utilize Glucose for energy and became cancer, even if one is severely immune deficient. This is important to note, as the death rate of cancers is high. One needs to be vigilant on increasing O2 and stopping sugar. Deviating from this focus could be deadly! To summarize in another way: all disorders are cured by restoring health, as a healthy person is free of disorders. However, health is governed by healing qi, so anything that drains qi is harmful. Therefore, chemotherapy and radiation aggravate rather than heal the cancer.